Get the most out of you chips. 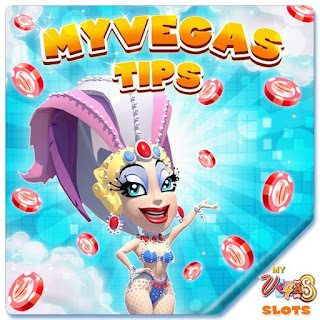 Play myVEGAS Slots Free Casino using these tips to get more chance of winning rewards. How to Redeem myVegas Mobile Promo Codes? 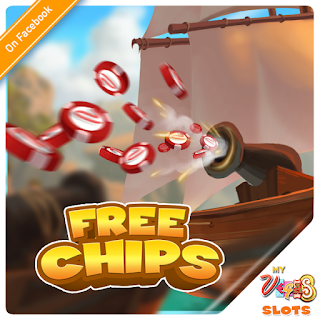 How to Easily Get more Free Chips? Promo codes redeem for FREE Chips in myVEGAS Slots and myVEGAS Blackjack on your mobile device! From the main menu in myVEGAS Slots or myVEGAS Blackjack, slide up the System Menu from the bottom left corner. Look for the icon that looks like a coupon being cut out. Enter your promo code and Redeem/Validate. Enjoy your free chips! They will be automatically added to your account balance. Checkout myVEGAS Slots Free Chips page your one stop destination for all promo free chips. All bonus came from myVEGAS Slots offcial promo and Facebook Players newsfeed. Check it regularly get some extra chips. If you connect to Facebook, all of your progress and balances will be backed up and linked with your Facebook profile. This means that if you get a new device you can simply reinstall our app, connect to Facebook, and pick up your game right where you left off! If you do not connect to Facebook before disconnecting your old device, you will have to begin a new game on your new device. Facebook connection is required to purchase rewards, but it is the only way save your game in the even that your device is lost, damaged or disabled. If you did not previously connect to Facebook, we cannot restore your anonymous game.